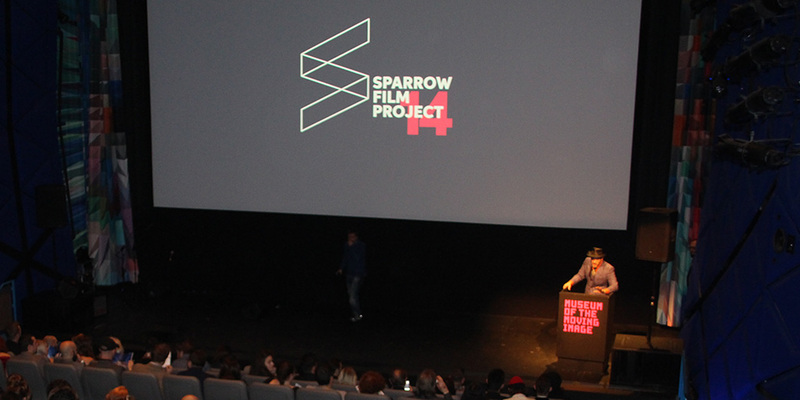 The 10th Anniversary of the Sparrow Film Project Gala will be held December 6, 2018 at The Museum of Moving Image. The evening of films, food, drinks, and live entertainment showcases the honorees and the spirit of filmmaking in Astoria. The gala evening begins with a 6:30 p.m. champagne reception. It is followed by the films, an open bar and hors d'oeuvres hour intermission, and then the awards ceremony all at the museum included with your ticket. The Sparrow Film Project started as a rag tag group of artists picking names of made up movie titles out of a hat. Based on the title picked, participants had three weeks to make a three minute film. The first films were screened and recognized at the Sparrow Tavern. The project has grown over the ten years to include a screening of all entered films (this year over 60 films in competition) at the MOMI Bartos Room on December 1, a bar crawl on December 2, and an awards gala that sells out the Museum of Moving Image every year. We provided a link below to get your seat secured before they are gone. Through its evolution, the main frame work has been a contest of a three minute film made in three weeks. Wear your gala dress attire, goers are treated to an after party.